Are you looking for Driving Lessons in Beckton e16? licence as quickly as possible saving you time and money. Our structured learning program and knowledge of the local area, helps build up the confidence of our Learner Drivers to achieve their ultimate goal of passing their Driving Test as soon as possible. We offer Manual Driving Lessons and Automatic Driving Lessons, Male and Female Driving Instructors, Intensive and Semi-Intensive Driving Courses, Theory and Hazard Perception Training, Motorway Lessons, Refresher Lessons, Mock Driving Tests, Instructor Training and we are all Pass Plus Registered. 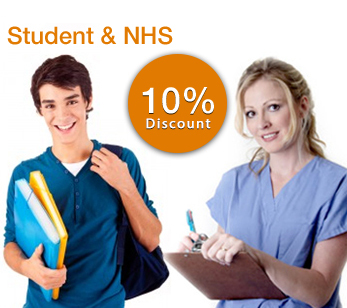 We also offer 10% discounts for Block Bookings and reduced rates for Students and NHS Staff. We supply you all the materials needed to get you ready for your theory including books and DVDs, plus we offer 1-to-1 support from our instructors will sit down with you and demonstrate how to achieve the best results. Our intensive driving courses range from 2 days to a couple of weeks depending on your individual needs. Most beginners require at least 30 hours of professional tuition to achieve test standard driving skills, although this amount can vary. We therefore recommend you first do an assessment lesson in beckton with one of out experience driving instructors so we can determine best alternative for you. The assessment also provides an opportunity for you to evaluate the car and make sure you are satisfied with the assigned instructor's teaching style. At Right Driving Driving School in Beckton we offer lessons to suit all needs. Whether you prefer to learn in the morning, evening or even Saturdays we can provide flexible lessons at competitive prices. To gain extra experience and confidence, why not take a Pass Plus course after passing your test. If you are not a regular driver or would like more experience on the road, try out our refresher course. Driving on a motorway can be a very daunting experience, so why not build up your confidence by taking motorway lessons for extra experience. Why not treat a friend or a family member to driving lessons. Contact us to find out the different types of vouchers available. Vouchers are also available if you recommend a friend.